Yimiton's Blog: Hi Yimiton, How do I tell my parents I'm pregnant for a man they warned me against? Hi Yimiton, How do I tell my parents I'm pregnant for a man they warned me against? I don't even know where to start this story from, but I guess I'll have to tell it anyway. I met Deji 2 years ago when I was still in Unilag. He was like the most gorgeous man I'd ever seen, tall, well built and extremely handsome. I totally fell for him when we spoke for the first time, I knew I wanted to date him. I was elated when he eventually asked me out, it was like I was living my dream. I was so in love with this guy and was proud to show him off to all my friends. I also told my parents about him and they were anxious to meet him. The problem began when my Mom met him and the next thing she told me was that she didn't trust my boyfriend. 'Why' I asked and I hated her answer immediately. She said she didn't know why but she just had a bad feeling about the guy. Just a bad vibe. My father too vehemently kicked against the relationship and my siblings just weren't happy with it. I felt my family was concerned for me because of Deji's physical looks which could not be compared to my own relatively plain looks. My sister mentioned it once that she just can't trust the guy, he looks too good. So, I felt that was the general sentiment in the house. On the other hand, Deji's family accepted me with open hands and his sisters always reached out to me. What surprised me a little though was that it seemed like his siblings always asked me for one thing or another whenever they called. 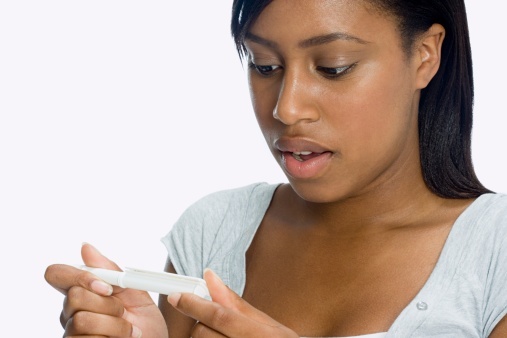 Last month, my period was delayed and after running a test, I discovered I was pregnant. I broke the news to Deji feeling that he won't mind but I was greeted with the shocker of my life. He told me he wasn't ready to be a father. He said he wasn't even ready to get married. That was when he also told me he didn't have a job and won't be able to sustain a family. He said he's been running around, trying to get deals as he graduated with a pass, so he doesn't think he can possibly get a corporate job. My heart was totally broken and I called his parents to report the issue. I was shocked beyond words when his father told me the case is between both of us and I shouln't involve him. Since then, Deji has suddenly disappeared. He doesn't take my calls anymore, doesn't even reply my text messages and whenever I go to his house to check him, he's never around. His friends also don't seem to know his whereabouts. I'm so beyond confused now. I really want to tell my parents because I feel so alone and I need a confidant but I'm so scared of what their reaction will be. I'm already 27 and have a job. I definitely will never want to abort a child because I'm from a very strict Catholic home, so abortion is out of the question, but the same time, I don't want to be a single mom and I'm so scared and confused at the same time. How do I break this news to my parents without being disowned out rightly? Please, I sincerely need your advise. Thanks a lot. u just ve to summon the courage to tell them, take an elderly respected person with u. then be prepared to be a single mum, coz the the guy is not ready to be a father and if u force urself on him, u will regret it later. take care of urself. Mothers are always right! And if not, fathers can't be wrong too. I've always told young women, if more than 2 members of your family say no, then, he's no good. The deed has been done, you need your parents support, I can only imagine how much shame you've brought to them but you still have to tell them. It's amazing how supportive parents can be when their kids are in trouble. Forget that guy you call your boyfriend though, he might come around later in life but for now, don't bet on it.